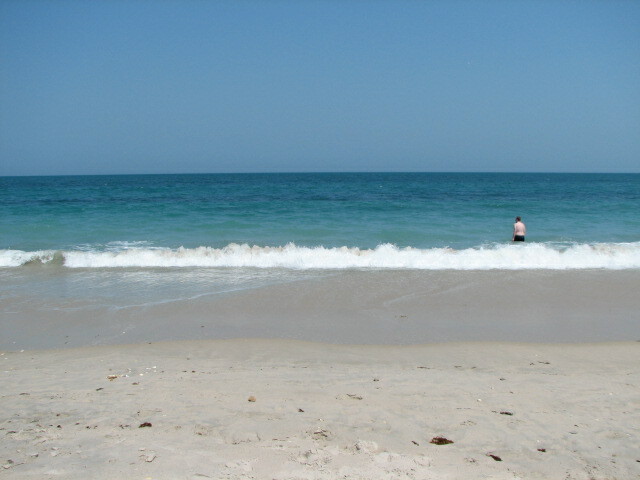 I spent the past week in Florida, including a 24-hour mini-vacation in Vero Beach, where this was my swimming pool. Open-water swimming never looked so good! Just about to head to just about the same place. Did it make for good Bay Swimming training? The first day: Definitely, with lots of whitecaps and swells. The second day: The water was smooth as glass. But while the latter wasn’t as good for training, it was still a really nice swim! Awesome! Hopefully you brought some of that back with you!